Question of the Week: What beauty product makes you excited for summer? EauMG’s Answer: Colorful makeup. Yes, I wear colorful makeup all year whenever I’m in the mood. But, I love how makeup brands launch bolder, more saturated colors in the summer. This summer a lot of brands are doing yellows and magentas and I love it. And yes, I love the typical “summery” combos of bronzes and teals/blues. It’s fun. we heart this – Bright color, major pigment, minimal price; NYX brings it with their two latest eyeshadow pallettes. Beautygeeks – has a new crush on an old skincare friend now that it’s been reformulated in a major and surprising way. Blushing Noir – Every once in awhile you stumble on a product that gives you so much inspiration that you have to step outside the box. A lot. This palette did that for me. EauMG – It’s been three years in the making and it’s finally here! Proenza Schouler has launched their first perfume, Arizona. Was the wait worth it? Let’s see. Painted Ladies – Ever wondered what to do with what looks like a stubby foundation brush? Sheila shows you how to use a flat contour brush in the latest Which Makeup Brush Where? Phyrra – I’m serving up summer goth queen fashion with the Sourpuss Queen of Darkness Top! Prime Beauty – Now that summer is officially here, Prime Beauty has the low down on the newest innovations from the sunscreen experts, Supergoop! 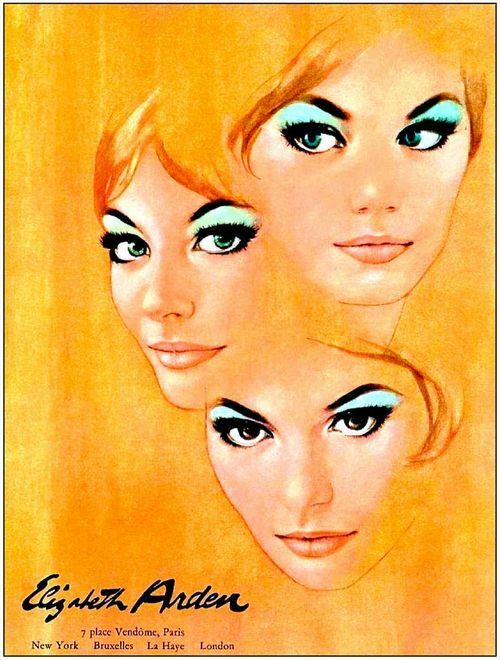 *Elizabeth Arden makeup ad from L’Officel 1966 from someone’s Pinterest upload.